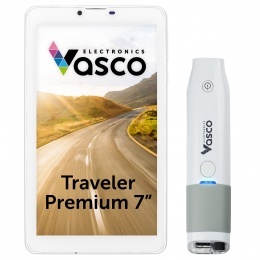 Vasco Traveler is a device equipped with a lot of useful application that help you travel and communicate. Thanks to this, your travels will be safer and cheaper. Among the most important features available with Vasco Traveler, we have to distinguish a very precise and off-line GPS navigation, a 40-language voice translator and an off-line databases of emergency numbers and embassies all over the world. Vasco Traveler allows you also to use the Internet for as cheap as $0.02 per MB in more than 100 countries. 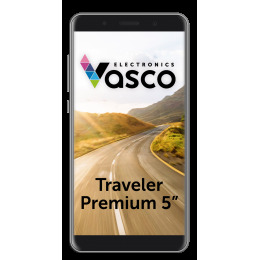 Each Vasco Traveler has a built-in SIM card that works in 200 countries and makes Vasco Traveler a great tool for anyone despite their travel experience and destination. Which Vasco Traveler should I choose? 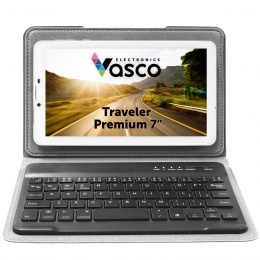 Vasco Traveler is available in 3 versions: 5 and 7-inch Vasco Traveler Premium and 4-inch Vasco Solid that is also waterproof, dustproof and shockproof. You should choose the one that suits your needs whether you need it for a package holidays or extreme travelling in harsh conditions. Vasco Traveler’s reliability has been proved during a lot of demanding tests made during changing conditions.